Packing Way: One Shirt A Polybag,60Pieces A Carton Or As Customers' Requests. 100% cotton 50s*50s yarn count fabric, other fabric like ,CVC,T/R,L/C,100% polyester, etc are available. It's up to you . 30% deposits T/T in advance, 70% balance T/T before delivery or L/C at sight. 3-5days to prepare the sample. we can return your sample cost after you order more. 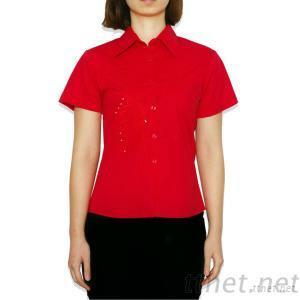 one shirt a polybag,60pieces a carton or as customers' requests. Delivery Way - Date Of Delivery: 15-30 Days In General,It Depend On Your Quantity.